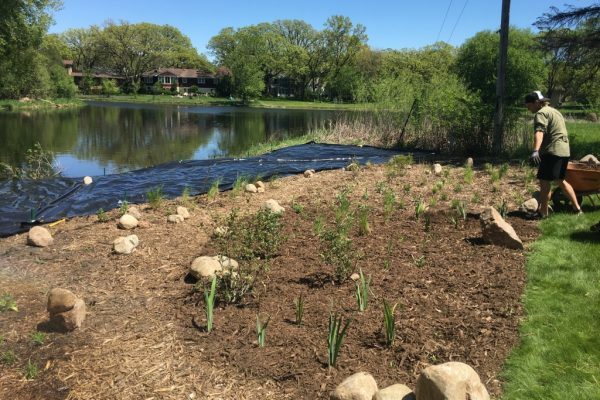 When contacted by our clients 3 years ago, we were presented with some major challenges that are all too familiar along urban shorelines. 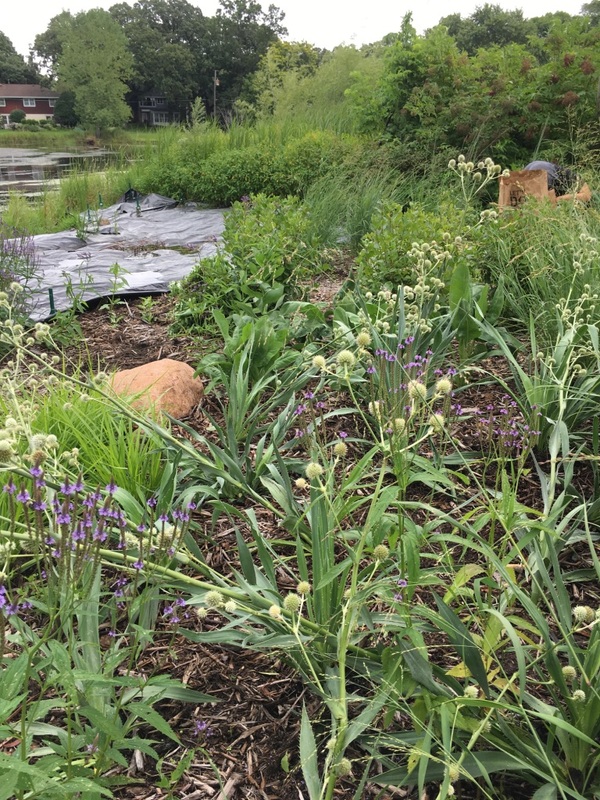 Being asked by the client to “reclaim some order” was the task at stake but we also knew we were coming in as a third attempt to get a handle on the invasive and most troublesome, Reed Canary Grass in the past 8 years. 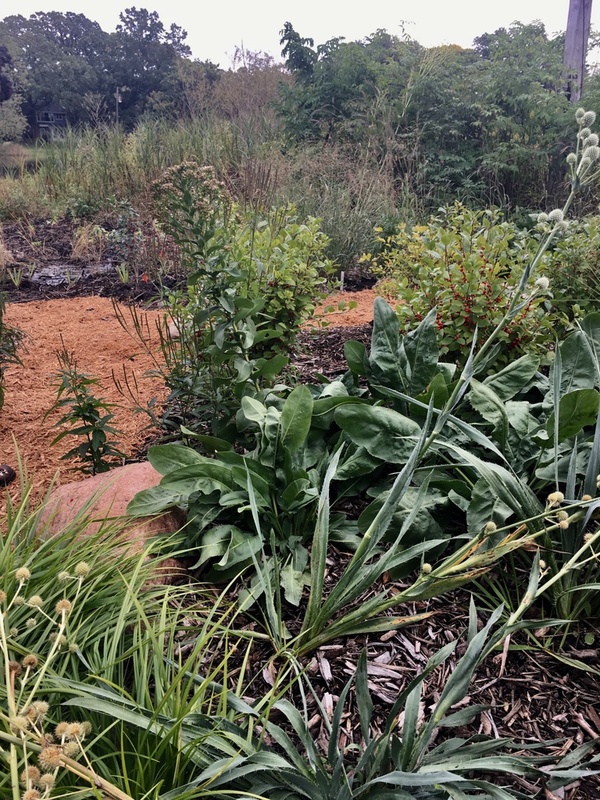 This 2400 square foot site along the Minnehaha Creek had already been through controlled burns as well as multiple Round-up applications which proved unsuccessful. 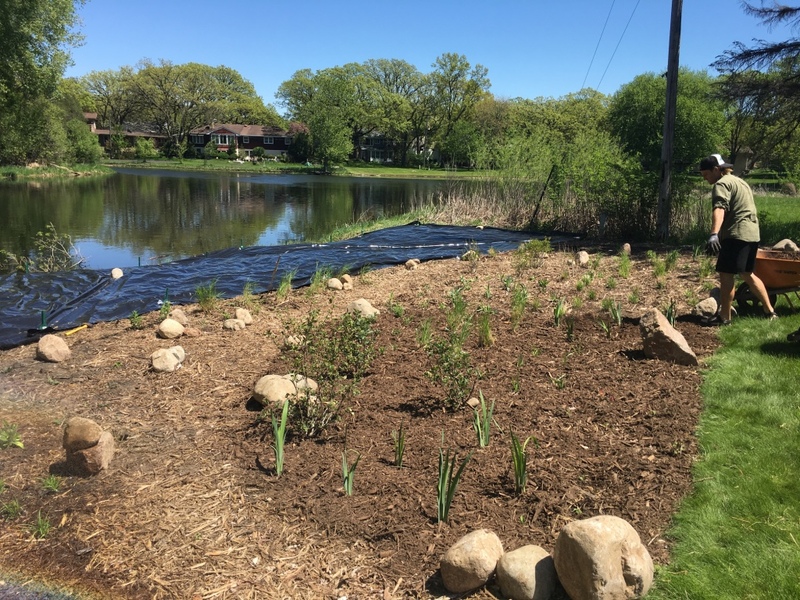 In addition to the invasive plant population that dominated, geese were also claiming this shoreline as their home which also created quite a mess. 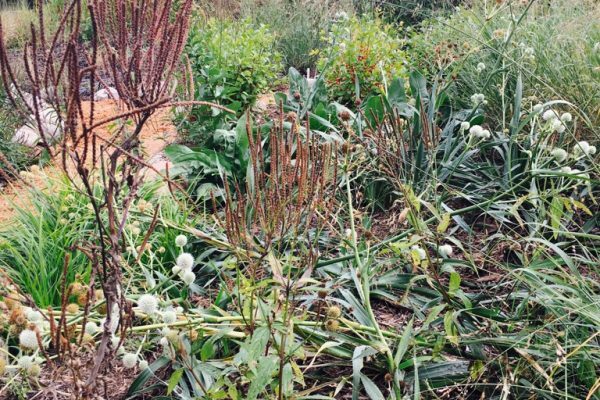 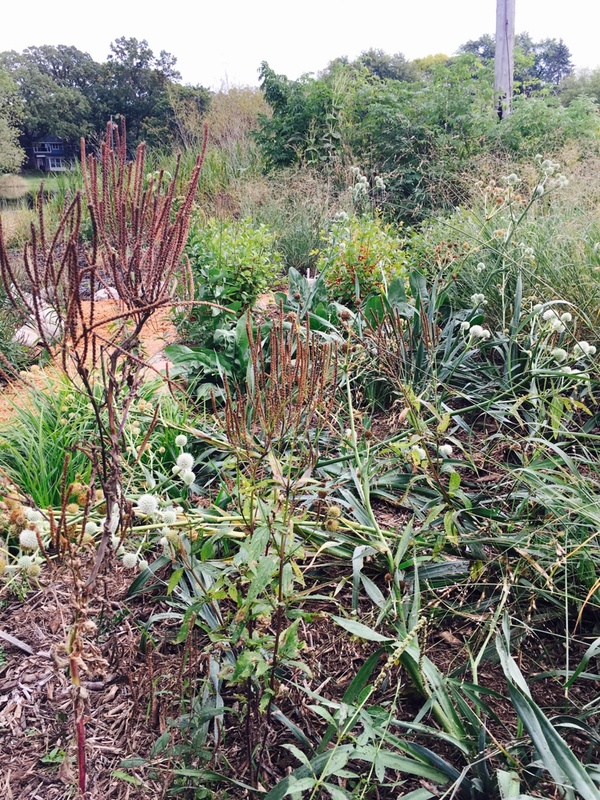 When designing and planning for a restoration project such as this, we find the most important part to the success of a restoration project is not just getting rid of the invasive material and planting the “right plants” but the subsequent maintenance plan for the first few years. 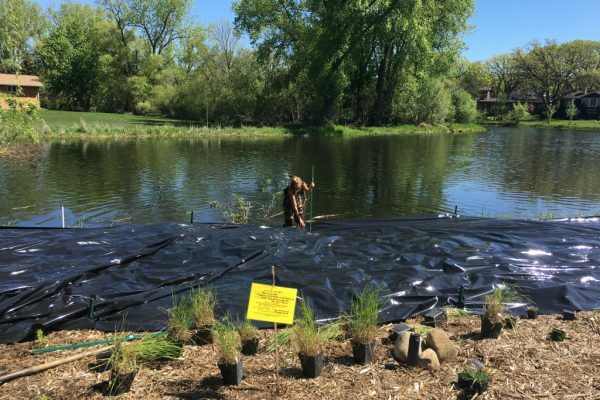 More frequent, shorter visits are the best option for keeping invasive species in check. 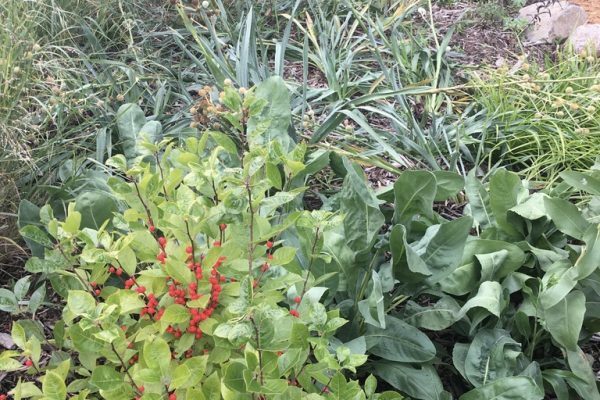 After the first couple of years the natives will fill in and be competitive with invasives and maintenance costs will go down. 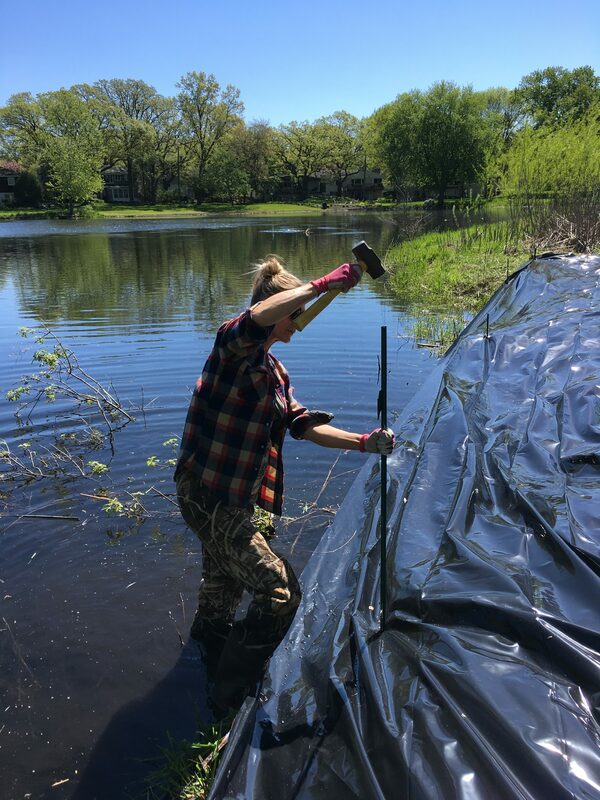 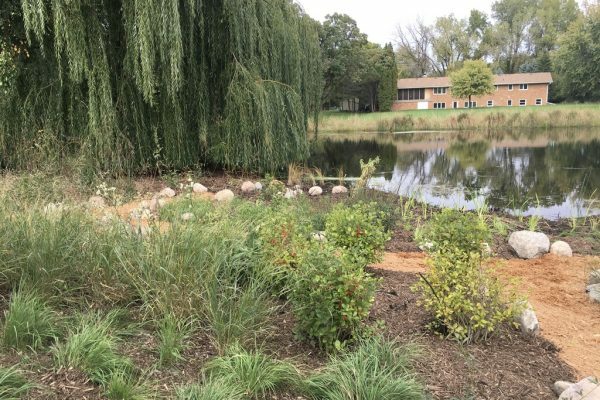 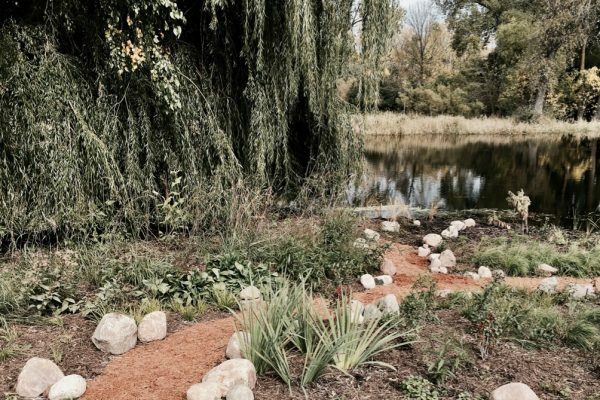 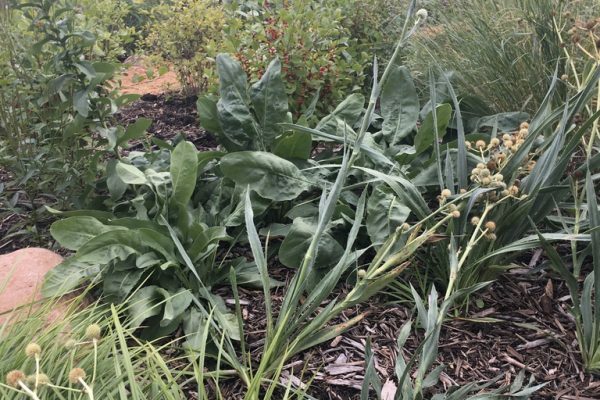 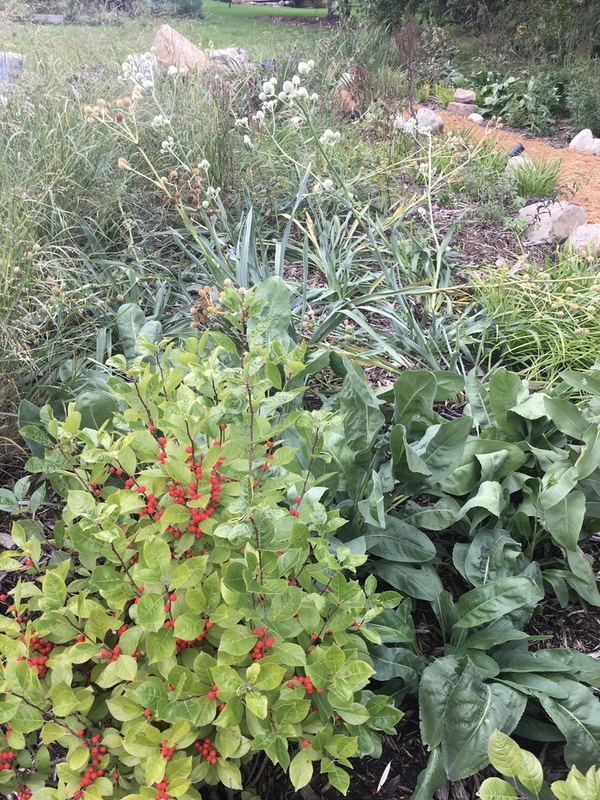 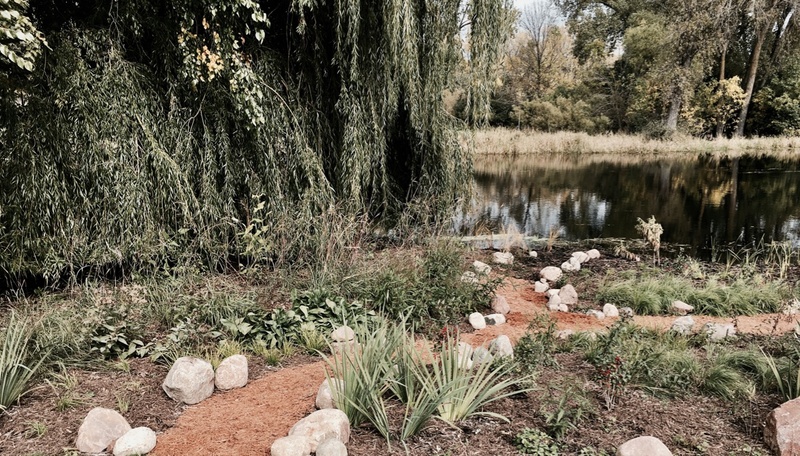 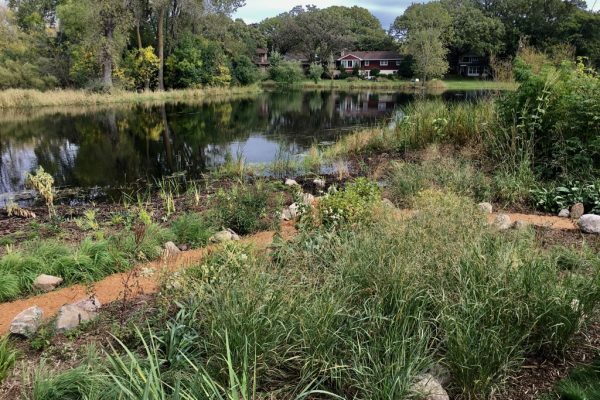 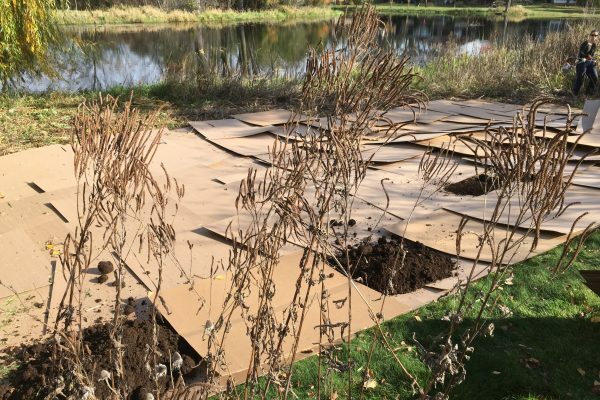 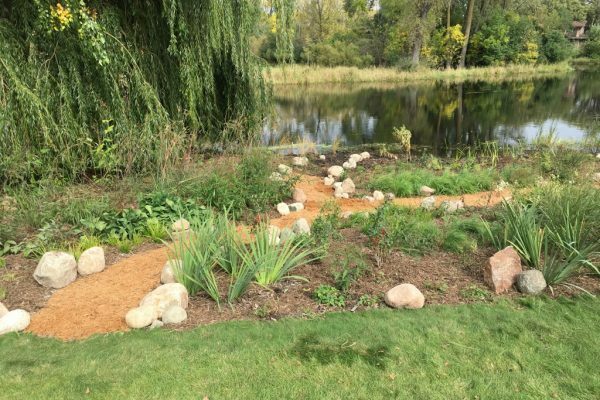 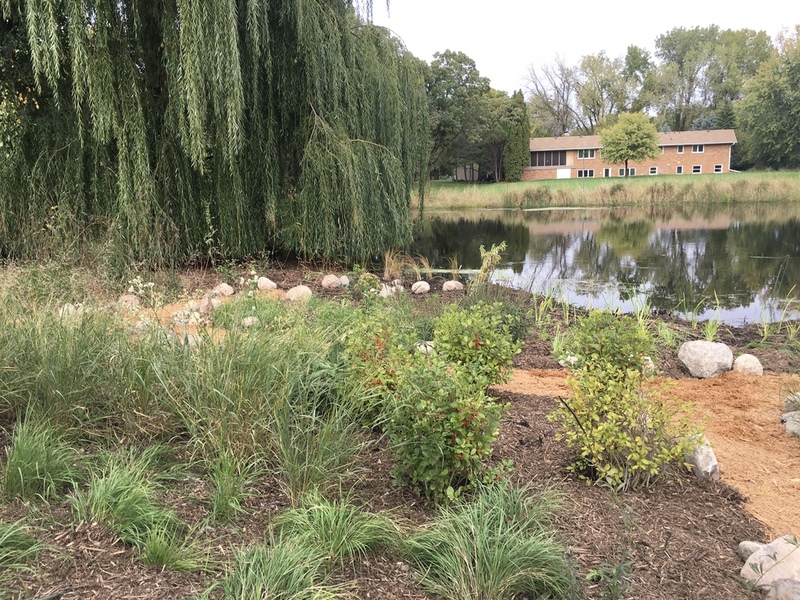 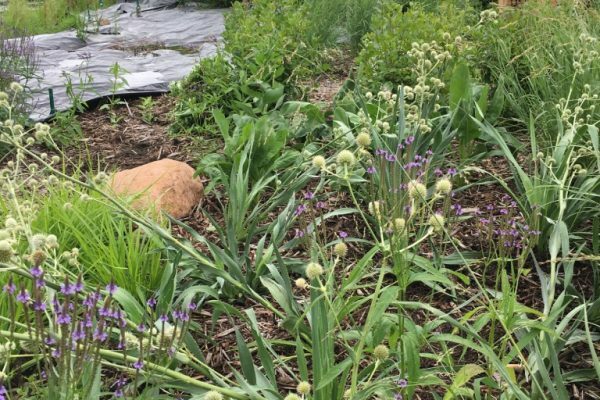 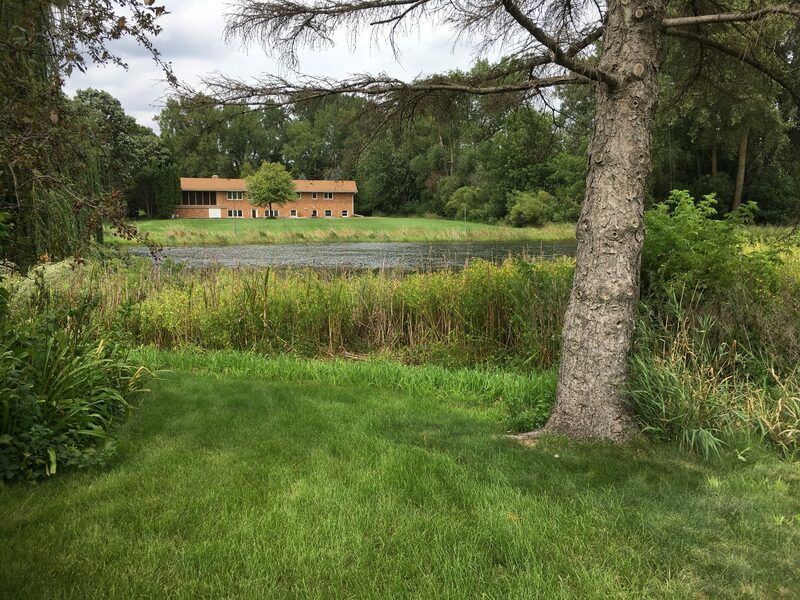 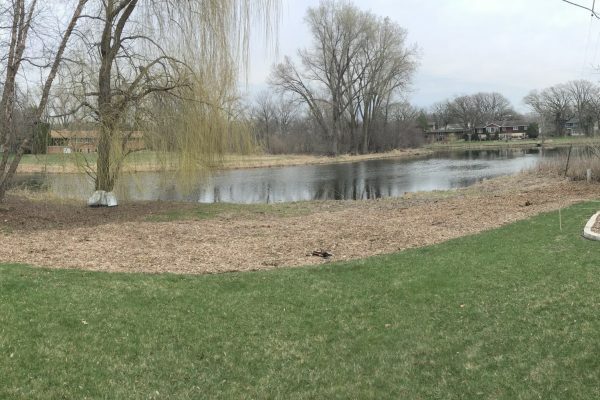 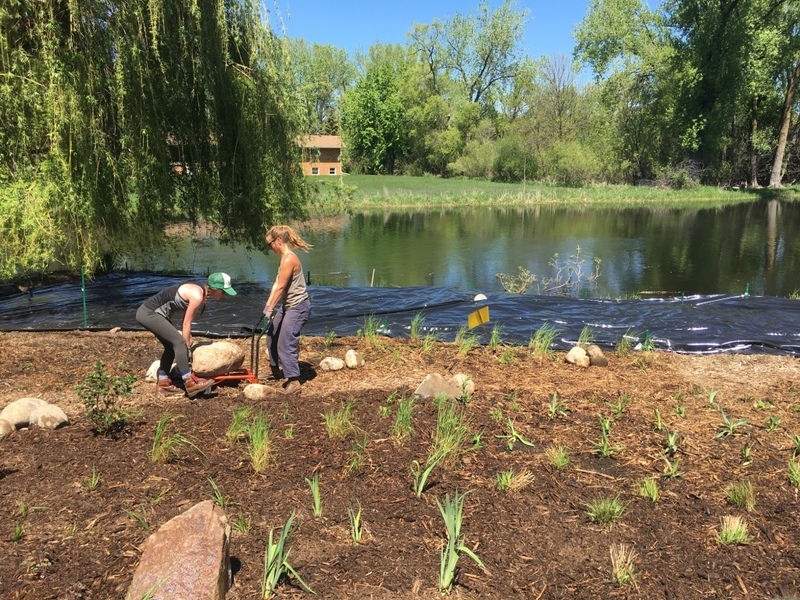 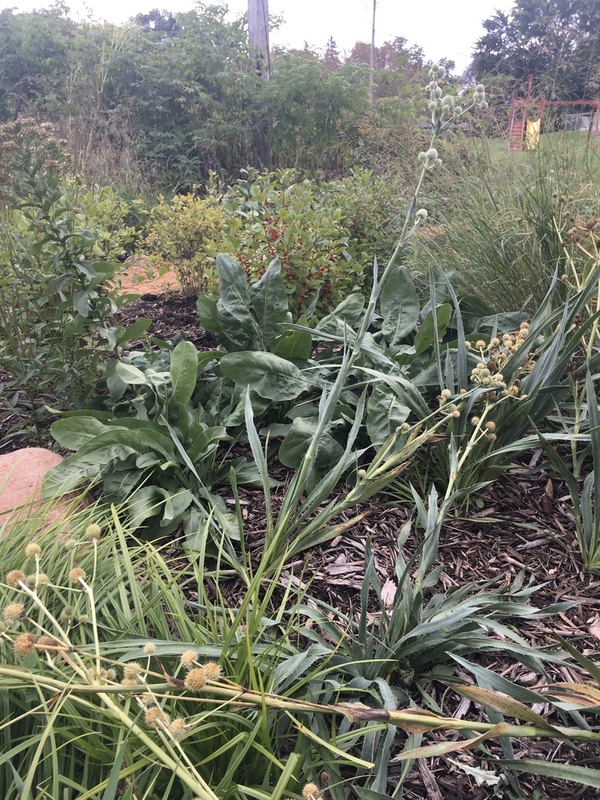 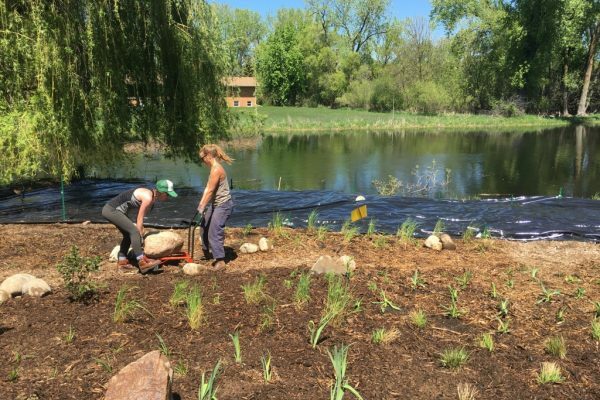 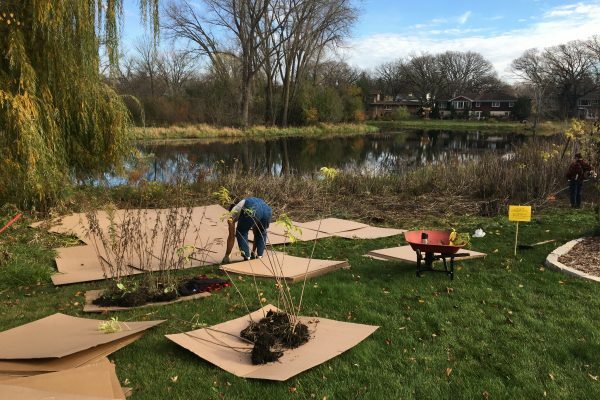 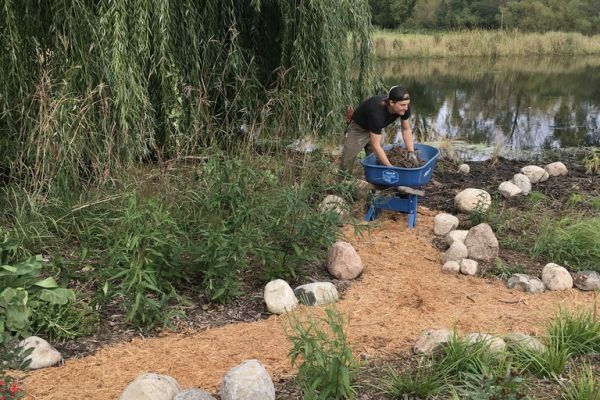 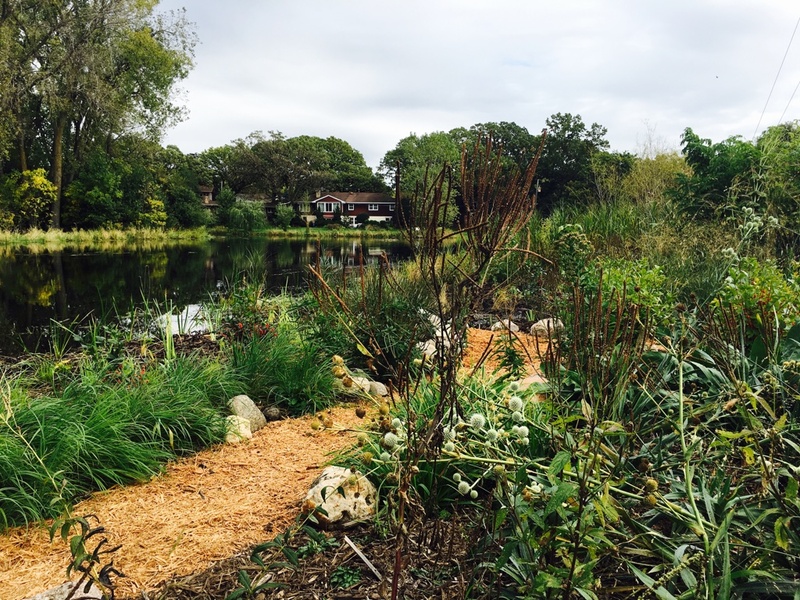 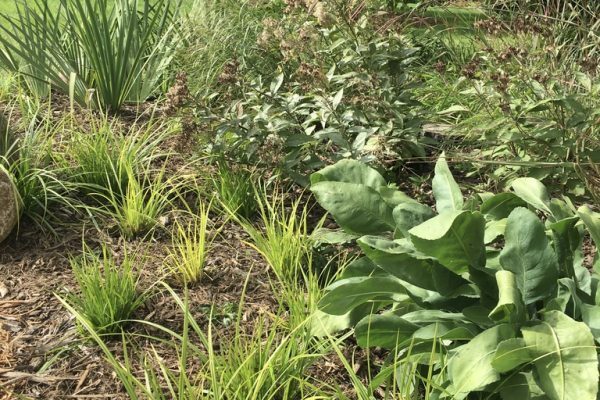 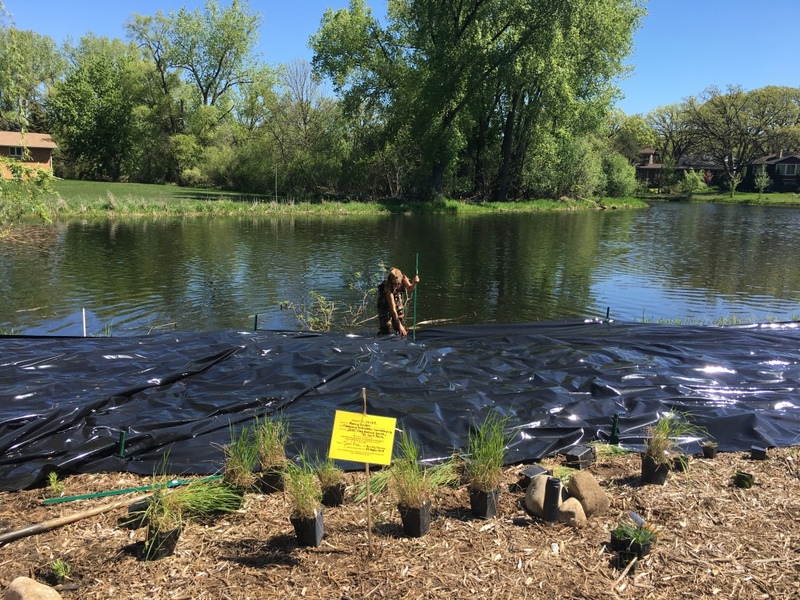 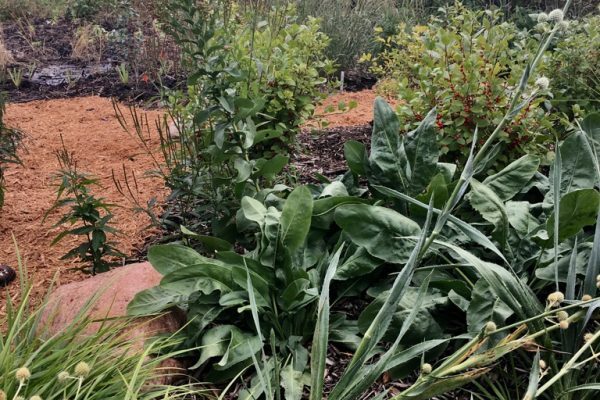 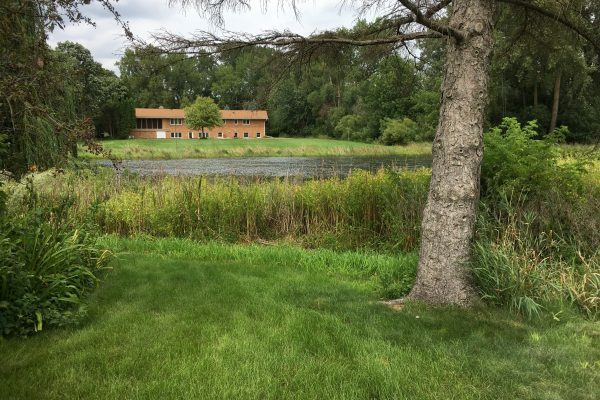 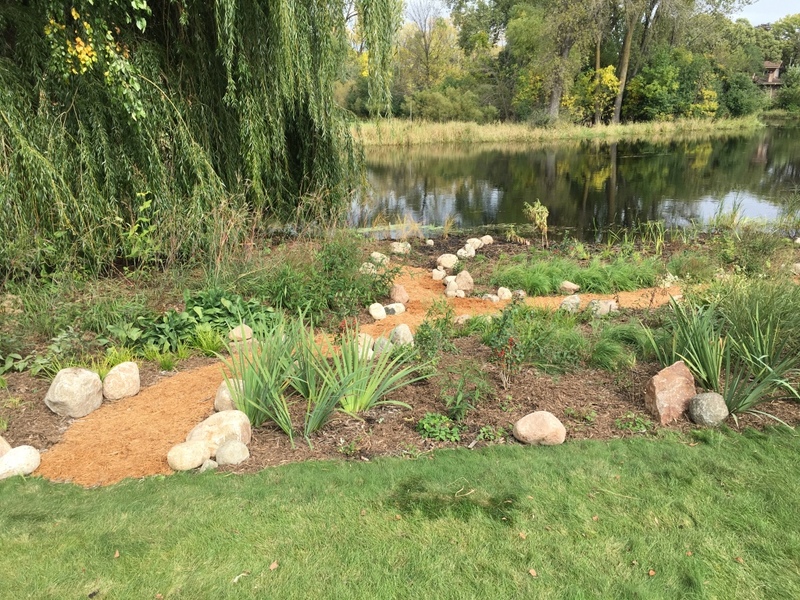 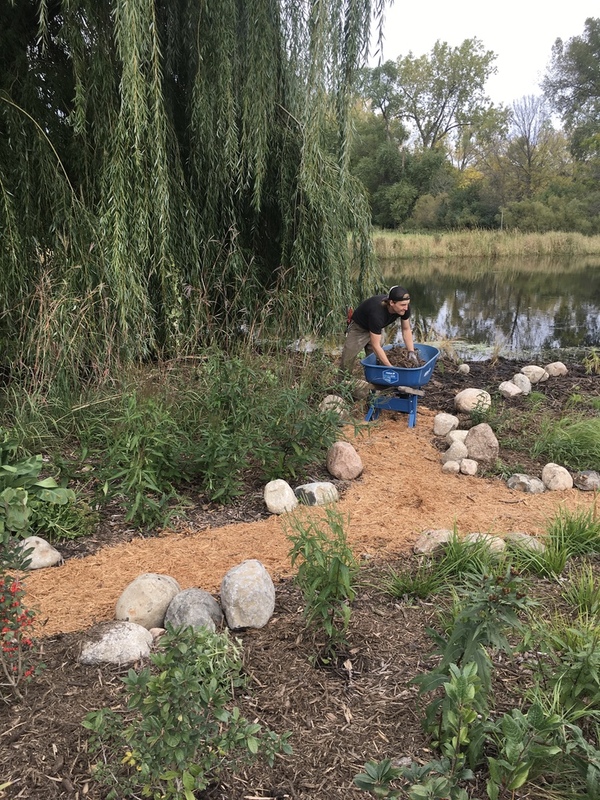 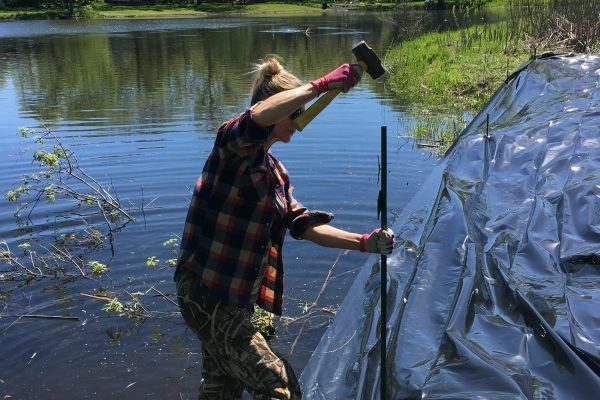 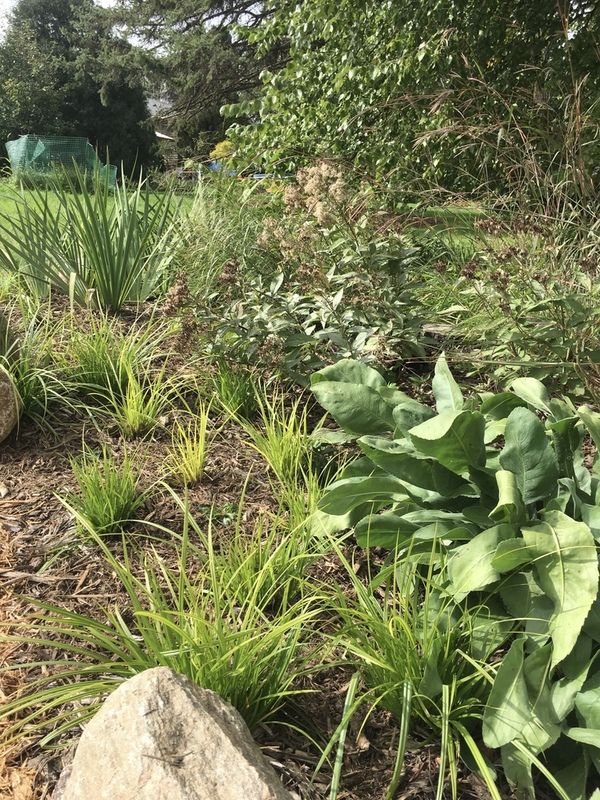 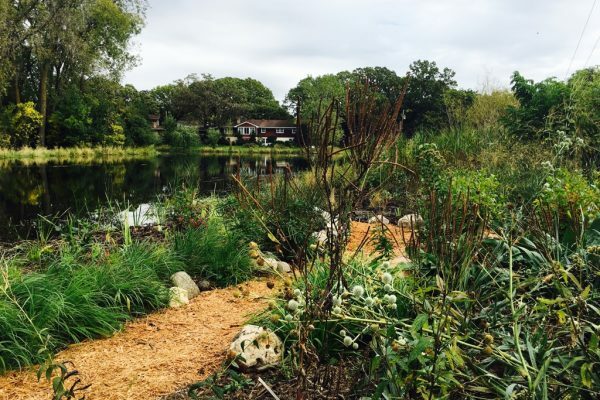 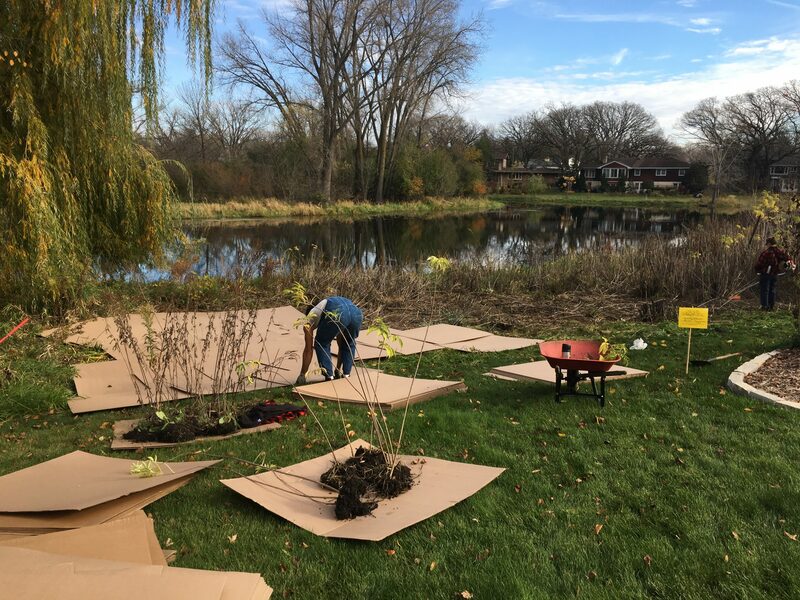 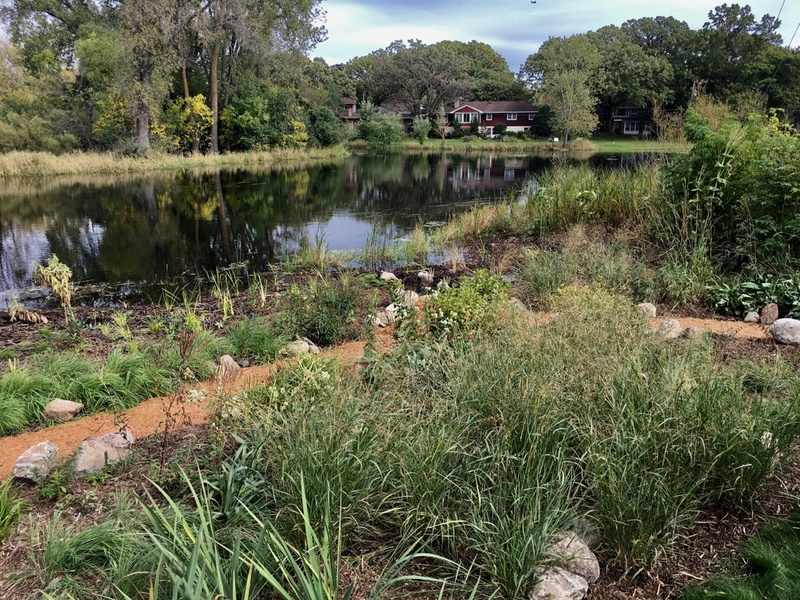 The Minnehaha Watershed Watershed District assisted in making the planning and installation process very easy, which is also helpful for homeowners attempting to make their shorelines more visually appealing – but most importantly, getting them to an ecological equilibrium. 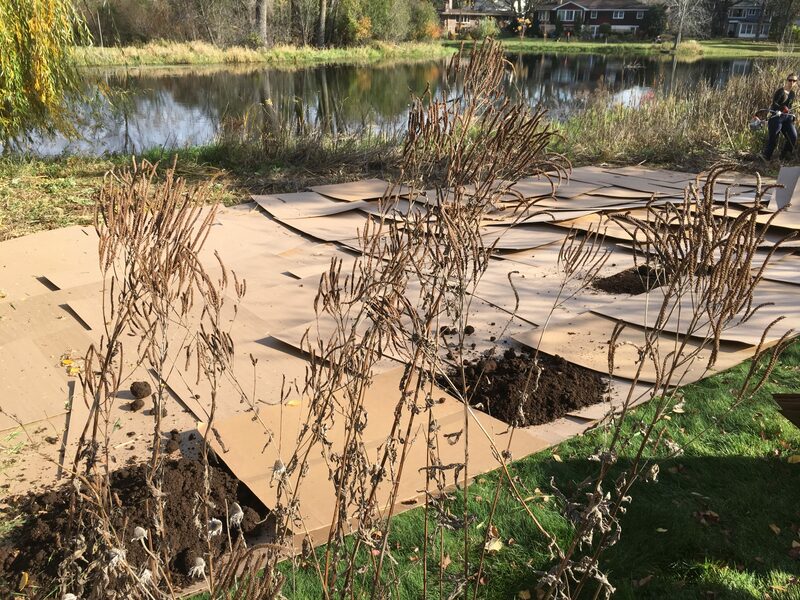 While working on this site we had the pleasure of working under a family of grey horned owls and were often visited by hawks, eagles, and other smaller bird friends making our days a real pleasure.